My kids LOVE Around the World Stories. We just finished listening to the complete collection of 52 stories about Europe. Before I begin, let me just say that this post is not sponsored in any way. I paid for these stories with my own money. I have so many wonderful things to say about this audio series for kids that I am going to do my best not to make this post sound like an infomercial. Not only do my 4 kids (ages 2 to 8) love these stories, my husband and I love them as well. There was one time that my husband and kids listened to a story in the car while I ran into Target during a family vacation. I listened to it on my own with headphones later that day, so that I wouldn’t miss any of the stories. They are educational, wholesome, and delightful. If you have a child between the ages of 4 and 10, these audio stories are the perfect way to spend time in the car. They teach your child about other countries and cultures in a way that is fun, memorable, and wholesome. There are 52 stories total each about 30 minutes long. 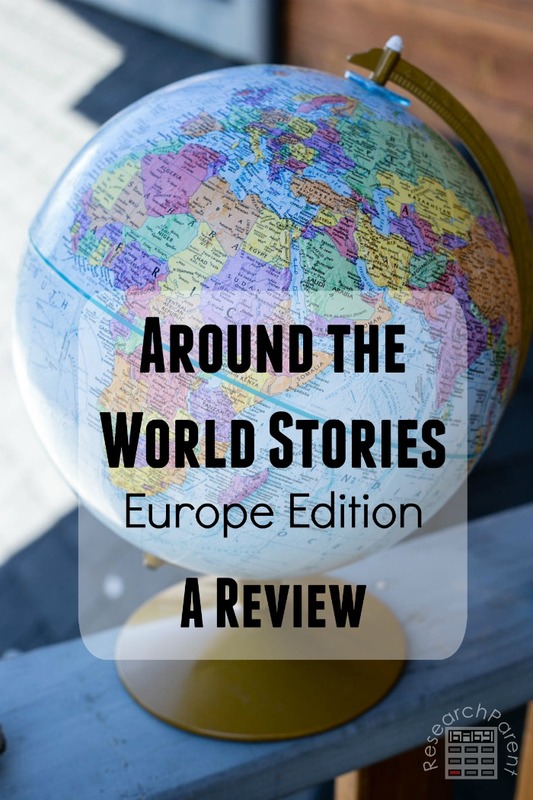 Each story features a child from a different European country (Germany, the Netherlands, France, Denmark/Sweden, Austria, Czech Republic, Spain, Ireland, Italy, Portugal, Poland, England, and Greece). The same child is followed for 4 stories in a row, and the gender of the child alternates from one country to the next. There is a website that goes along with the stories that provides supplemental material for each country. We did not end up using the website that often, but the stories themselves are pure gold for igniting a child’s imagination. My kids would get excited about something they learned about in the story and we would follow the rabbit trail on our own, watching Youtube videos about the ice hotel in Sweden, doing our own Picasso inspired art projects, or reading (sometimes abridged) stories by famous authors like the Brother’s Grimm, Dickens, and Shakespeare. The main advantage of these stories is the connections children are able to make. I can not even begin to describe how learning about all these places and the lives of these fictional kids has tied everything together for my own family. My kids will frequently hear something and relate it back to one of these stories. For example, we saw a book about The Little Mermaid in a store and my 6 and 8 year olds remembered that it was written by Hans Christian Anderson who was from Denmark, because that was the statue Anders saw when he was trying to understand his culture’s practice of hygge. This is my 6 and 8 year olds’ favorite thing to listen to in the car. My 4 year old, who frequently complains during longer audiobooks, never complains during Around the World stories. (My baby doesn’t complain for that matter either. I think because the narrator’s voice is very soothing.) As I’ve mentioned, my husband and I enjoy these stories as well. I could imagine that maybe there would be some pre-teens and teenagers who would feel too grown up for these stories since they usually feature kids around the age of 9, but generally speaking, I think they are perfect for whole family listening. How Do These Stories Fit into Homeschooling? In my opinion, these stories are exactly what Charlotte Mason meant by a living book (except for the fact that they aren’t actually books). If Charlotte Mason knew what an audiobook was, I think she would be a huge fan of this series. They make learning about other cultures engaging by following the lives of “living” (though fictional) people that have real relationships, emotions, and dilemmas. My kids can imagine themselves being in these foreign lands, because they can relate to the main characters. They remember what they “learn,” because they don’t think of it as learning. They think of it as enjoying a fun, entertaining story. That being said, while I love the Charlotte Mason philosophy, I don’t consider myself a Charlotte Mason homeschooler. These stories would fall into the category of Social Studies, but personally I use a separate history curriculum. However, I think these stories are a worthy supplement to any educational path. I think going down the rabbit holes that originate from these stories would be the perfect starting place for unschoolers. I definitely think so. At the time of this writing, you can either get all 52 stories for $135 or pay $14.95 per month for a story each week. That comes out to no more than $3.50 per story. ($2.60 per story if you buy all 52 at once.) I will happily pay $3.50 for that much education and entertainment for our entire family. I cannot think of $3.50 better spent. Even though we hadn’t finished the European stories when the first Asia story was released, I immediately subscribed to those stories as well. That’s how much my family loves them. In the name of fairness, I am going to do my best to come up with as many negatives and be as critical as possible be in this section. However, it will be hard. I love these series so much, the biggest con in my opinion is that we want to listen to them faster than they are coming out. Educational. 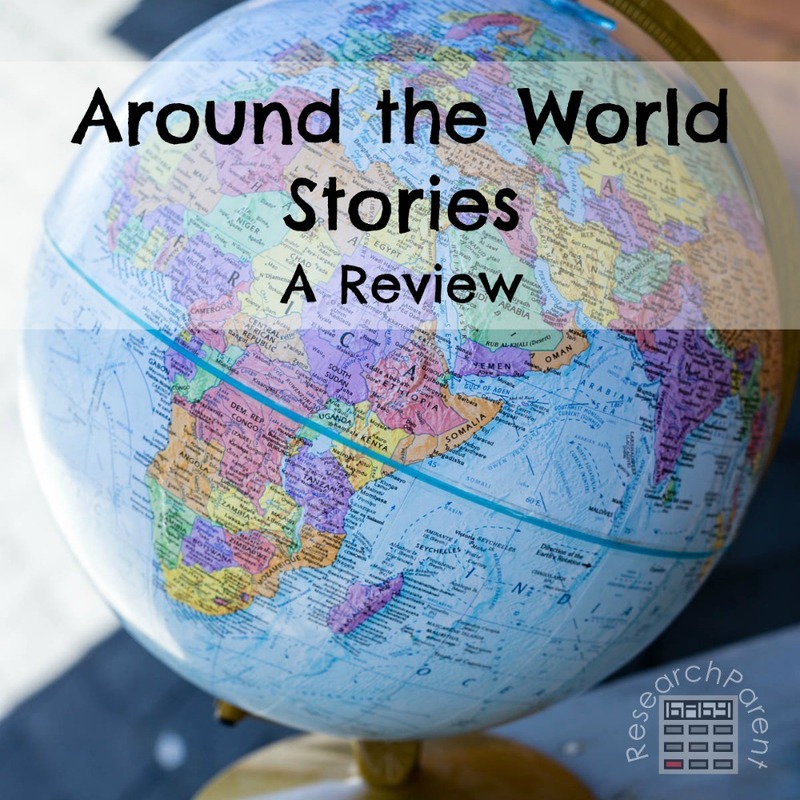 They seamlessly interweave a lot of historical and cultural information about each country into each story. Engaging. My kids and I think they are so much fun. Great length. 30 minutes is a wonderful length, because we can usually complete one in a day of errands. If we don’t quite finish, my kids always want to sit in the car after we get home to hear how it ends. Wholesome. These stories are just so delightful and sweet. They teach great values like helping others, taking responsibility for our actions, working hard, and not being materialistic (just to name a few). Spark curiosity. They make my kids curious to learn more about other countries. I love all the extended learning that comes out of listening to these stories. Memorable. My kids form long-lasting connections between places and important people and events, because they tie them back to the main characters that they love. Portable. I love that you can either stream the stories from your phone or download them in mp3 format. In a family with older kids, these stories might feel a little young as the main character is usually between the ages of 8 and 10. I plan to re-listen to them in a couple years so that my baby and toddler can enjoy them. Personally, I think even my older kids will continue to enjoy them. I think the supplemental material on the website could be better curated. It is great that they give you ways to continue learning, like conversation starters or more educational facts. They usually give you a way to extend your learning like with a YouTube video. I would love to see links to more resources like recipes, music, photo galleries of these countries, and more related YouTube videos that are appropriate for kids. I usually end up doing this part of my own, but it can be time-consuming. This is not necessarily a con, but just be aware that the stories are a mix of realism and fantasy. The earlier stories are completely realistic, if somewhat far-fetched at times. However, later in the series, some of them move into the completely fantastical with leprechauns, fairies, and time machines. Personally, I prefer the realistic ones while I think my kids prefer the more magical ones, so maybe it’s good that there is a mix. 2 of the stories focus on personified animals, not people. The featured child is still part of the story by the end of the 30 minutes, but the first part of the story is a little odd in that it doesn’t follow the pattern of the previous groups of 4 stories. This is not necessarily a con. Again, I preferred the stories with real people, but my kids didn’t comment on the change. One of the stories features additional voices. As this was their first series of stories, it seems like they did a lot of experimentation. The main narrator is a man with a very soothing, mellow voice. He is great at altering his voice for different characters, including women. However, in one of the stories about Spain, they added female voices in for some of the main characters. Personally, although I was surprised at first, I didn’t mind the switch. My 8 year old son, on the other hand, was pretty upset about it. Thankfully for him, they switched back to their traditional style quickly. A couple errors. My kids picked up on one of the princess’s name from the Netherlands changing very slightly between part 1 and part 2 of the story. Since this story featured actual people, I assume the makers were informed they were pronouncing the name wrong. Similarly, the pronunciation of hygge changed from one story to the next, I assume for a similar reason.